Crops like almonds cannot be left fallow during dry years without jeopardizing the trees, which during droughts require extensive irrigation in the California Central Valley. A new study by researchers from UCLA and the University of Houston reveals significant groundwater loss in California’s Central Valley during the recent drought and sparks questions of sustainability for the important agricultural area. Researchers tracked net groundwater consumption in the Central Valley from 2002 to 2016, which included two droughts, one from 2007 to 2009 and the more severe drought from 2012 to 2016. 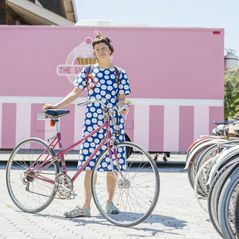 California’s Central Valley is more than 18,000 square miles from the coast to the Sierra Nevada Mountains and is one of the largest agricultural hubs in the United States, providing more than half of the U.S. fruit, vegetable and nut crops. During the two drought periods, a total of 16.5 cubic kilometers and 40 cubic kilometers of water were lost, respectively, according to the study published in Geophysical Research Letters. The more recent drought accounted for more than 10 cubic kilometers of water lost per year. Researchers attributed this to reduced precipitation and snow melt, a change in the type of crops being cultivated and hotter temperatures. During droughts Central Valley farmers are forced to use wells to replace water that would typically come from the Colorado River basin and the Sierra Nevada mountains. 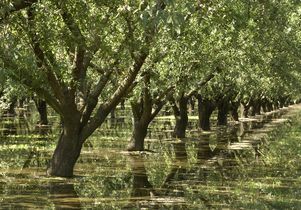 Adding to the severity of the groundwater depletion, the 2012–2016 drought coincided with Central Valley farmers transitioning from row crops to more high-value, thirsty crops like almonds, pistachios and walnuts, which are grown in groves. Unlike row crops, tree crops cannot be left fallow during dry years without jeopardizing the trees, and hence future crops. The increase in groundwater loss occurred even with a reduction in the amount of irrigated land, which decreased 7 percent from 2007 to 2009 compared to the 2012–2016 drought. Higher temperatures during the more recent drought period and the transition from row to tree crops, accounted for most of the increase in groundwater loss between the two droughts, and more than offset the effects of a reduction in irrigated land, Lettenmaier said. Groundwater usage for crop irrigation in the Central Valley is a well-documented and hot-button issue in California. There are an estimated 100,000 or more private wells in the area, some dating back to the 1930s, and many are unmonitored by state or federal agencies. Using groundwater to irrigate crops has environmental and economic implications, Lettenmaier said. Subsidence is a concern, because as the water table lowers, the soil compacts. And a lower water table increases pumping costs for farmers. In California’s complicated water rights system, some of which is managed by the federal government, groundwater usage has been largely unregulated. But in 2014, California introduced legislation that requires local land planners and farmers to create (or join an existing) groundwater sustainability organization by the end of this year. They have until 2022 to come up with plans that will stabilize groundwater basins by 2040. The study accounted for evapotranspiration, which is water released into the air through plant transpiration and soil evaporation, as well as precipitation, and surface water flowing into and out of the Central Valley. Researchers used two methods to track groundwater levels, traditional water balance estimates —which take into account surface water inflow like rainfall and snow melt, soil moisture capacity and evapotranspiration — and data from NASA’s twin satellite system called GRACE (Gravity Recovery and Climate Experiment). 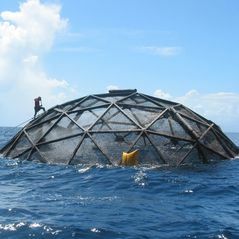 “For this study, GRACE served as a unique tool that provided information on water volume changes directly from space, and corroborated the water balance estimates,” said Hyongki Lee, a co-author of the study and a professor of civil and environmental engineering at the University of Houston. GRACE estimates align with the water balance estimates, with some variance. GRACE data estimates that groundwater loss from 2012 to 2016 was 11.2 cubic kilometers per year, compared to water balance estimates of 10 cubic kilometers per year. And, while the water balance data showed some recovery of groundwater reserves during the non-drought years, the GRACE data does not reflect that. GRACE’s measurements encompass an area approximately four times the size of the Central Valley. “Although both water balance-based and GRACE-based groundwater volume estimates are subject to errors, the relatively small area of the Central Valley in the eyes of GRACE might also be responsible for that recovery discrepancy,” Lee said. Researchers hope future studies will address how much actual recovery happened between droughts and whether recovery from the most recent drought is on track to replenish the system. 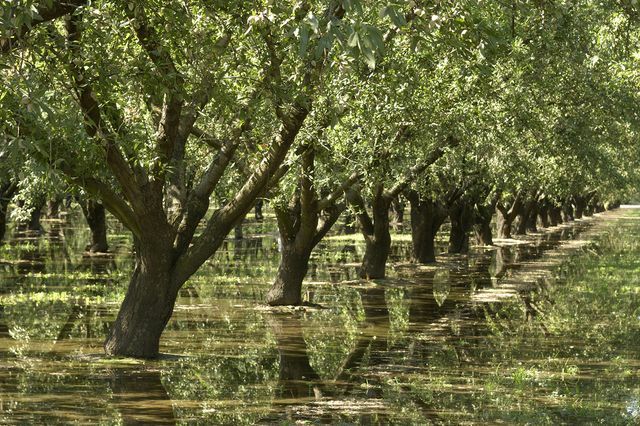 An almond grove flooded with irrigation.